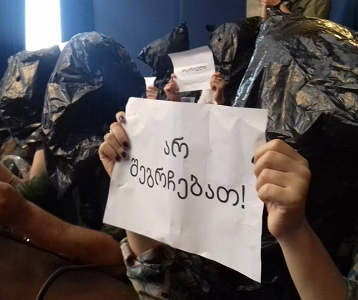 TBILISI, DFWatch–A violent takeover of the embattled Georgian television station Rustavi 2 has apparently been averted, as the Constitutional Court decided to review a case filed in a lower court about the suspension of the government’s power to immediately enforce a court ruling. Rustavi 2 is subject to another lawsuit from a former owner who is trying to regain ownership, and the television company has warned that it will resist such a takeover violently, if they lose the court case. But the TV company filed its own lawsuit, against the parliament, asking to suspend passage 8 of the 286th article of the Civic Proceedings Code, which is the legal basis for immediately enforcing a court ruling. The Constitutional Court agreed to hear this case, and temporarily suspended the passage until the case is completed. “The Constitution Court considered that in this case the disputed regulation can cause irreversible violation of rights of the lawsuit authors and it will be impossible to correct the outcome even if the disputed regulation is recognized unconstitutional,” a statement issued by the court reads. There has been much speculation in Georgia lately about various scenarios for how a takeover of Rustavi 2 would play out, with added shock effect by the posting of several leaked phone conversations, including one between the head of the television company and the former president, who is now governor in Odessa, Ukraine, talking about revolution. The Constitutional Court’s ruling seems to have averted the most violent scenarios for the time being. But Tbilisi City Court still has to make a decision in the case filed by the businessman Kibar Khalvashi to reclaim ownership of Rustavi 2. The TV channel has been strongly pro-National Movement for many years, and its current owners, supporters and others see Khalvashi as acting on behalf of the government and that the aim is to silence a strong critical voice of the government ahead of the parliamentary election in one year. 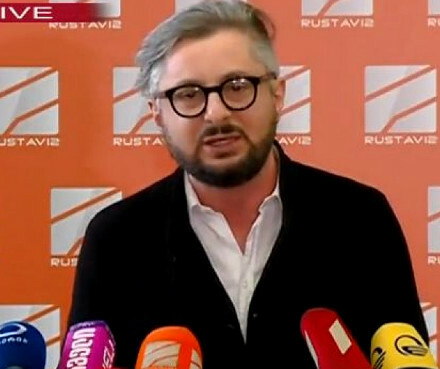 Director of Rustavi 2 Nika Gvaramia was first to hint that the takeover would not take place peacefully when he said in a live televised speech on October 21 that he and his staff would resist with force. Later, leaked phone conversations added further drama. 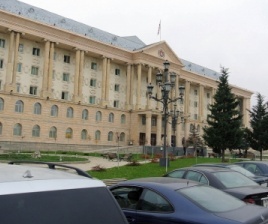 Former President Mikheil Saakashvili was heard discussing a possible scenario where the judge hands control of Rustavi 2 to Khalvashi, and the ex-president saying that there may be clashes and bloodshed at the office of the channel as the government would try to immediately enforce the court ruling using riot police. 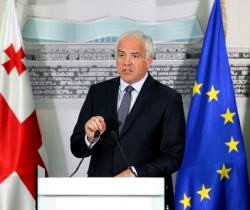 “No matter what decision the judge will make, Bidzina Ivanishvili’s major goal, to implement a rapid takeover of Rustavi 2, just failed,” he said, referring to the businessman who created the Georgian Dream coalition, served as prime minister for a year and, despite resigning, is still believed to have much influence over the government. 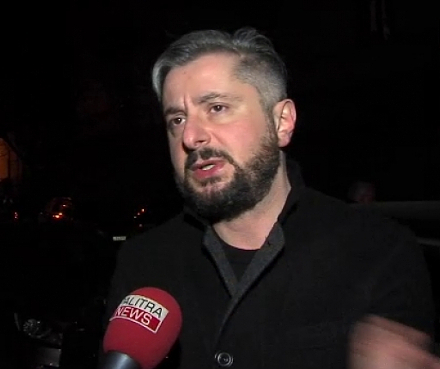 Gvaramia said Rustavi 2 has enough legal resources to continue fighting while keeping the TV station running. 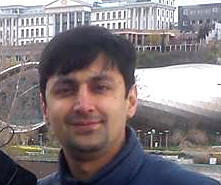 Khalvashi’s lawyer Paata Salia told journalists that the controversy about the immediate implementation of a ruling was futile. “We have never raised this issue or said that we were planning to demand the immediate implementation of the court’s decision,” he said.